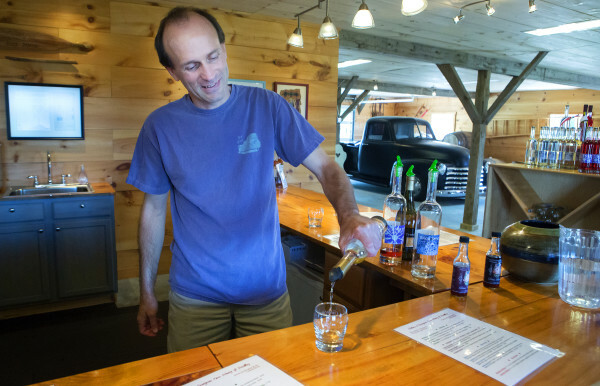 Keith Bodine pours a sample of Sweetgrass Farm Winery and Distillery's apple brandy in Union on Tuesday. Sweetgrass Farm Winery and Distillery in Union is seen on Tuesday. 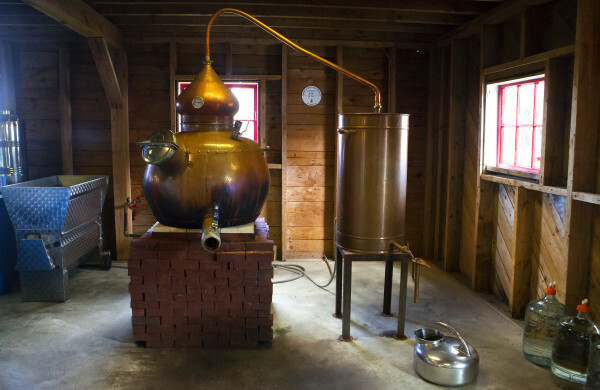 The still used at Sweetgrass Farm Winery and Distillery is seen in Union on Tuesday. 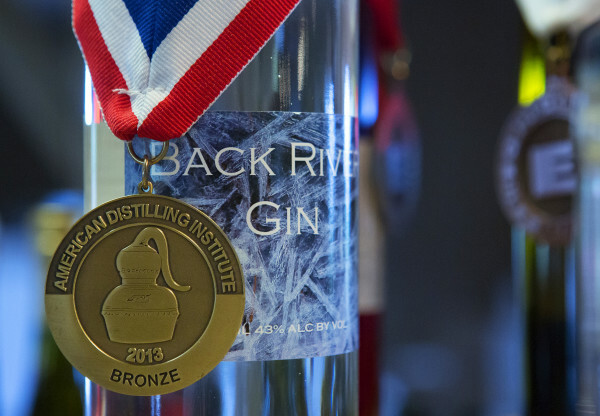 Sweetgrass Farm Winery and Distillery's Back River Gin is seen in Union. 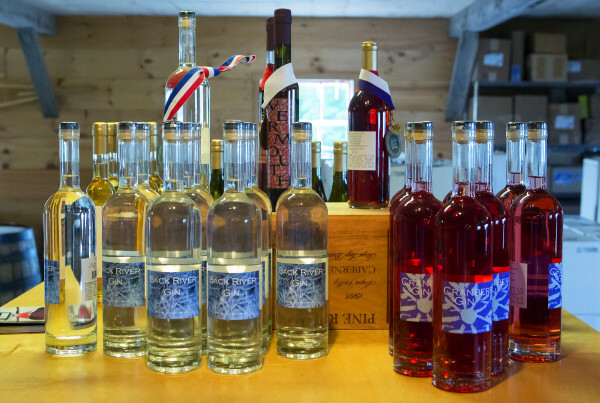 Sweetgrass Farm Winery and Distillery's Back River Gin (left) and Cranberry Gin are seen in Union. UNION, Maine — Keith and Constance Bodine’s journey toward operating a distillery on a bucolic farm in Union was long and circuitous and included detours in Napa Valley, Florida and even China. 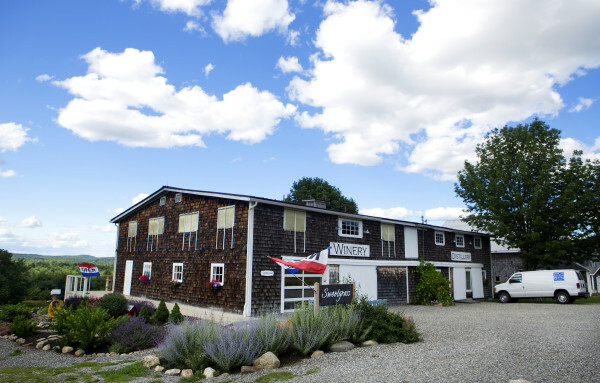 But fans of the couple’s award-winning spirits and complex, delicious fruit-based wines are just glad they made it to Maine to create Sweetgrass Farm Winery and Distillery in the end. Two of those fans, Deb and Ed Maxwell of Brookfield, Massachusetts, stood at the long, wooden bar of the tasting room that overlooks the rolling green hills of Union on a recent July day. They enthusiastically sampled the gin, wines and some of the other offerings meticulously crafted on the property. The Maxwells had visited before, on a prior Maine vacation, and made sure to come back to the distillery on this year’s trip. That kind of feedback is music to the ears of Keith and Constance Bodine, who pride themselves on making only things they love at Sweetgrass Farm, located what seems like a world away from where they met as freshman students at the New Mexico Institute of Mining and Technology in Socorro, New Mexico. After graduation, Keith Bodine got a job in New Hampshire, working as a software engineer, but it didn’t take long before he wanted to make a career change. But his first homemade batches were terrible, his wife recalled, and she urged him to learn how to do it right. So he headed to the University of California at Davis, which is known for its winemaking program, and got a master’s degree in oenology. After that, Keith Bodine worked for a while in California but wanted to get back east with his growing family. They wanted to raise their three kids in Maine, where Constance Bodine’s family was from, but getting there was circuitous. They spend time in Virginia, where Keith Bodine worked as a winemaker, and China, where he helped develop that country’s wine industry. After just a year abroad, Constance Bodine had to come home to take care of her sister, who was paralyzed in a car crash. Keith found a job making wine on Long Island, New York, then at a winery and distillery in Florida. Finally, after another stop in Massachusetts, the couple began searching for a place to buy in Maine. In 2005 they found the old Carroll Farm in Union, a 66-acre former dairy farm and apple orchard that borders the Medomak River. They fell in love with the property and decided it was the right place to start their small winery and distillery. “We really, really enjoy the peace of it all,” Constance Bodine said. More than a decade later, time has proved them right. Their signature Back River Gin is made with Maine blueberries, among other botanicals, and Wine Enthusiast Magazine called it “creative and sophisticated.” The couple also is proud of their cranberry gin, Calvados-style apple brandy, wines and liqueurs. On the farm, they grow some of the apples, rhubarb and maple syrup they use and buy much of the rest from other Maine farmers. Until now, they’ve only been able to sell their spirits in Maine, but recently they have contracted with HUB Beverage, a Boston-based fine craft spirits distributor, and have expanded their sales to the Bay State.